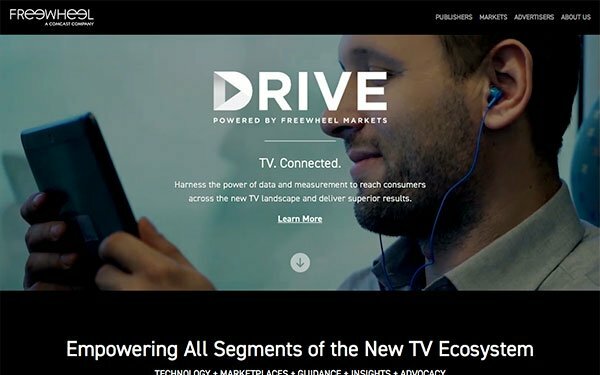 Comcast’s FreeWheel -- the big ad-serving platform -- is launching an integrated advanced advertising suite called Drive to help marketers reach OTT, VOD and digital video consumers. FreeWheel will aggregate OTT and VOD inventory from its supply partners, including AOL, DirecTV, Fox, NBC Universal, Turner, and Viacom, as well as pay TV providers digital inventory and other publishers. FreeWheel is one of the largest platforms used by TV networks and major video distributors to serve ads alongside their online content. FreeWheel’s Drive effort comes after its deal with Nielsen in June to expand measurement to OTT inventory and connected TV video on demand. Drive will use Nielsen Digital Ad Ratings, a measurement service that offers a view of digital audiences comparable to linear TV. Integrating this into Nielsen will allow a more complete view campaign performance for marketers. Drive will also use FreeWheel’s proprietary methodology, which ties outcomes to anonymized, household-level data. Advertisers have long complained about problems with accessing and measuring OTT advertising and content, as well as integrating this data into linear TV and other media. Media executives are concerned that a rising number of disparate video viewing options has made it hard to scale for marketers. Other video management companies have also launched efforts to accommodate viewing of OTT content and advertising. In 2014, Comcast bought FreeWheel for $360 million.